A tree is large perennial and woody plant which has usually one dominant stalk. Trees are divided to conifer trees and broadleaved trees and inside those wood species there are big differences in characters of wood material. There are about 10 000 conifer wood species and 30 000 broadleaved tree species. From these in Finland grows three main tree species; birch, pine and spruce. In addition Finnish woodworking industry has limited in usage more rare tree species. Different wood species are significantly different from each other by their characters. Pine is easy to work, light and soft. It has high resistance to weather but it has quite fragile heartwood. Birch is strong and flexible but it splits easily when tacked. Birch is light by its color but it turns brown easily during drying. It is easy to work but it can also decay easily. Spruce is light and soft and light by its color and it has usually healthy branches. Light by their wood material (dry density of the fresh wood 300-400 kg/m³) when categorized by density are spruce, pine, aspen, larch, black alder and lime tree. Other domestic wood species are by density medium heavy (450-600 kg/m³). Light wood species are usually soft their surface and they are less tolerant to mechanical wear than heavy wood species. Dense and heavy wood species are hard and are tolerant to wear at the surface of both furniture construction and junctions. From domestic wood species hard at their wood material are ash and oak and medium heave are elm and rowan. Wood reared for industry is used diversely especially at construction and furniture industry. Characteristics of wood species define where to certain wood species is suitable. For example furniture and plywood are made from birch. Pine is used as common construction material, to furniture and especially garden furniture. Spruce is used as construction wood and as raw material to plywood and panels. It has been searched new use to cut down park trees. Usually the trees has been taken to burn or to dump but it would be more suitable to value of old tree to utilize it more thoughtfully and versatilely. Possibilities of re-using park trees have attempted to identify. The most usable park trees are wych elm, lime tree, poplar, oak and aspen. Wych elm is very common wood species in city parks that has grown partly already 200 years old. The age of trees brings different kinds of stress (tears, cracks and different diseases) and because of that it is necessary to cut down and prune back trees from time to time. Wych elm is dense, hard and tough by its lignin, bark brown by its color and has moderately resistance to moisture like oak. Wych elm is suitable for bending tree and carpentry tree because its toughness. In addition wych elm has very versatile use including furniture, tools, decoration elements and because of its wood structure it is very popular turning wood. 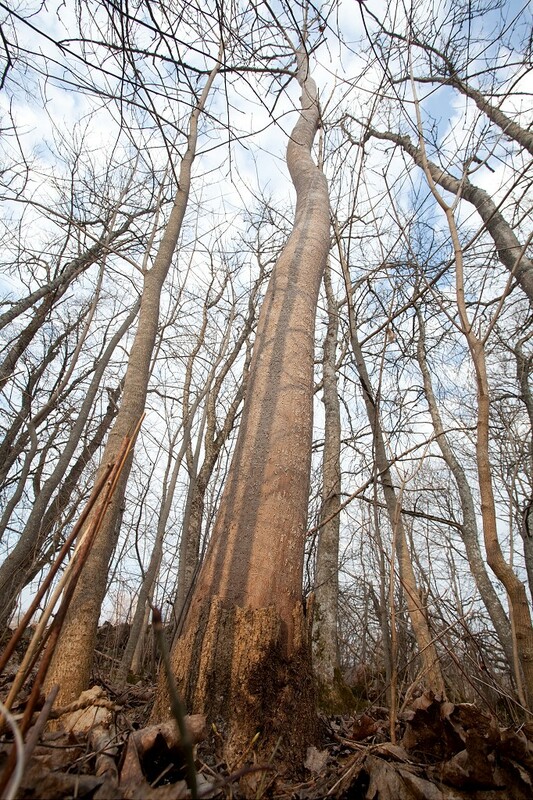 Elms cut down from parks can be utilized the trunk and about 20 cm thick branches. Trunk is often so sturdy that it is difficult to handle it without a machine. It is mainly used 50 mm thickness when sawing the trunk to board, smaller branches can be split from the middle when drying will speed up. If the tree is wanted to turn and leave it round it is advisable to spread paint or glue in the ends to prevent it cracking and also the wood can be barked in strips or peel it here and there so the wood doesn’t dry. Airy and shady shelter where the sunshine doesn’t reach is most suitable for storing place. Elm is quite slow drying wood species because it is relatively dense. Finnish common lime is suitable for using as carpentry wood and turning wood in addition it can be used including for shank of a brush, for toys and miniatures. You can’t get very long good quality pieces from common lime because it is cut often when trunk might be very un-homogeneous. Drying common lime is moderately easy because it is relatively porous wood species. Poplar and aspen are in the same (populus) family and are similar at their qualities. They are very suitable for different bending construction and including raw material for miniatures. Aspen is also very good for decoration panel. Poplar and aspen are easy to dry because they are porous wood species. Oak is the most versatile wood species because it has good bending qualities. Oak tolerates well moisture and usage and also its color and surface pattern are beautiful. Oak is processed the same way as elm. Wood can be bought from lumber trade and direct from forest owners. Also you can ask cut down wood from cities and municipalities park workers. Twigs and branches that are fell to the ground can be gathered by the right of public right of acces. www.puuinfo.fi - Finnish woodinfo, information about wood construction, wood usage and wood and operators on the sector and products.